Welcome to Modern Markets Initiative (MMI). We are an association of financial technology professionals that strive to educate and advocate for the role the of innovation in creating the world’s most efficient markets. I encourage you to explore the MMI website for information and resources on high-frequency trading and current issues affecting our financial markets, as well as news and updates from our organization. I hope that you find your experience on our site to be both educational and thought-provoking. Read more in this op-ed from CEO Kirsten Wegner. The following report on the FTT provides an in-depth, extended look into what this tax really means for pension funds and all investors. After conferring with internal industry experts, trading technology practitioners and former SEC regulators, MMI has put together the following peer review of the MITRE Study, and has concluded that this study includes fundamental misunderstandings and failures in its assumptions related to some of the basic mechanics of how the markets operate. 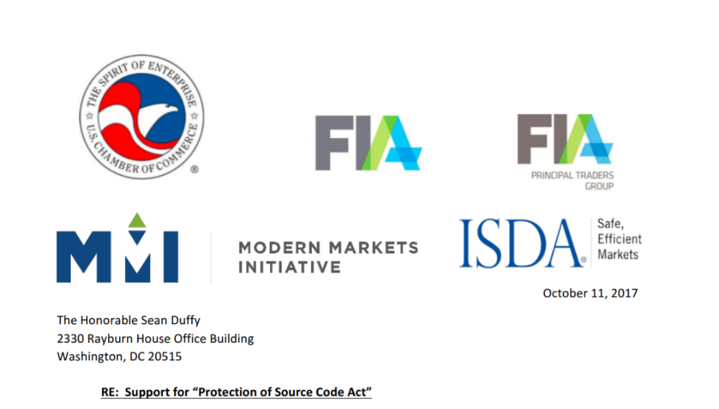 In support of IP protection of source code, MMI submitted joint comment letters in support of Congressman Duffy and in response to the CFTC Regulation Automated Trading Source Code provisions. In her latest op-ed, MMI CEO Kirsten Wegner dives into how the proposed retirement tax would be a huge hit to pensions and 401k investors. MMI CEO Kirsten Wegner weighed in on FinTech trends investors should be on the lookout for in 2019 in this op-ed in The Hill. MMI’s Kirsten Wenger was named among The HIll’s list of the most distinguished and accomplished professionals from the influence world who are on the front lines of the nation’s most consequential political and policy battles. Imagine this: free college tuition for everyone, and all we have to do is impose a tiny tax on big-money financial institutions when they buy and sell shares of stock. Maybe that sounds good on the surface, but it doesn’t pass a freshman economics class. An analysis shows a new bill introduced in the Senate would result in a significant financial hit to retirement plan investors. Modern Markets Initiative is pushing back on a tax provision in the bill. The events of the past few days have reopened important conversations about the role of professional intermediaries using High Frequency Trading tools to provide liquidity during market ups and downs. Exchanges are rapidly increasing the cost of their proprietary data feeds that traders need to compete in US markets, writes Kirsten Wegner, CEO of the Modern Markets Initiative.